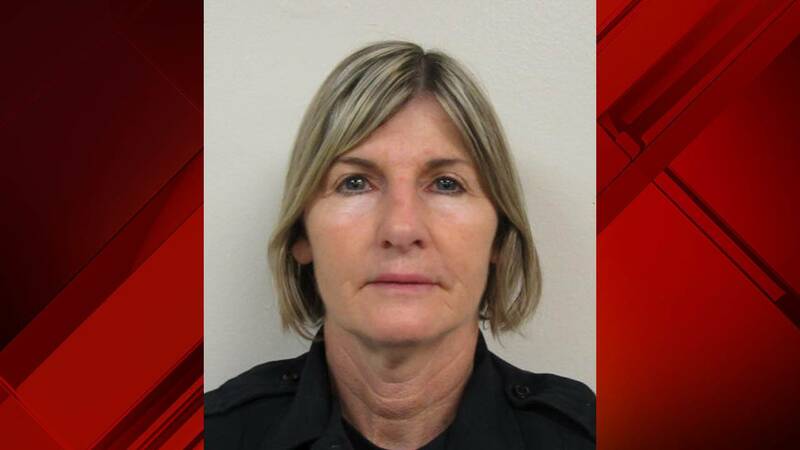 SAN ANTONIO - A veteran Bexar County sheriff's deputy was officially booted from her job in December after her ex-boyfriend, against whom she sought a protective order, reported her for "continuous stalking, harassment and threats," records show. Deputy Tammy Johnson was issued a letter of dismissal from the job back in October, but she was officially dismissed Dec. 10, 2018 after 18 years with the Sheriff's Office. According to the dismissal paperwork, Johnson told internal affairs investigators she had split from her boyfriend after he was sentenced to time behind bars for continuous family violence offenses in which she was the victim. The Sheriff's Office forbade Johnson from contacting her ex-boyfriend, issuing a no-contact order between the pair, but dismissal documents state she admitted to allowing him back into her home and maintaining contact with him while he was incarcerated. The documents allege she was able to conceal the communications by routing her letters through her ex-boyfriend's mother. When the man was released, Johnson "continuously" tried to get his contact information from his probation officers and his family members and tried reaching him via phone and text message, records state. Then, after getting in contact with him, Johnson threatened to have him rearrested for allegedly violating the protective order that she sought against him. The man's probation was ultimately revoked because of Johnson, the documents state. The paperwork also states that Johnson threatened the man's freedom "numerous times." On one occasion, Johnson texted him, saying, "it only takes one second" for him to go back to jail "if that's what you want," records show. When confronted about whether she associated with a know felon, authorities said she told them she was "unaware he was a convicted felon." Later, however, authorities discovered that in previous text messages, she referred to her ex as a "violent felon." The Sheriff's Office terminated her employment citing a number of reasons, including the fact that she was dishonest, engaged in "harassing behavior," associated with an individual of "questionable character" and deliberately attempted to cause her ex-boyfriend to violate the protective order. Sgt. Carlos Lazos, three-day suspension: Lazos was issued a three-day suspension after he crashed into another sergeant's vehicle while responding to a robbery call on May 20, 2018. The crash caused $10,201 in damage to both vehicles, and the crash review board deemed the crash preventable. Additionally, records state Lazos was involved in a previous collision less than a month prior. Deputy Michele Blum, three-day suspension: Blum was suspended for three days after other law enforcement officers observed her with her duty weapon in a secured facility and with her phone sticking out of her pant pocket. Cadet Aleida Mendoza-Garcia, fired: Mendoza-Garcia was dismissed from her position as a detention cadet for failure to "maintain standards of conduct demanded of a person associated with law enforcement." Cadet Vincent Fernandez, fired: Fernandez was dismissed from his position as a detention cadet for failure to "maintain standards of conduct demanded of a person associated with law enforcement."